All Plejd’s products are configured and installed from the app Plejd. Gone are the days of using DIP-switches, potentiometers and hubs with complex programming for configuring simple features. Control scenarios from smart phone, tablet, och push button. Astronomical clock and other time functions are available in all Plejd’s products. Simple installation, configuration, and control with the Plejd app. 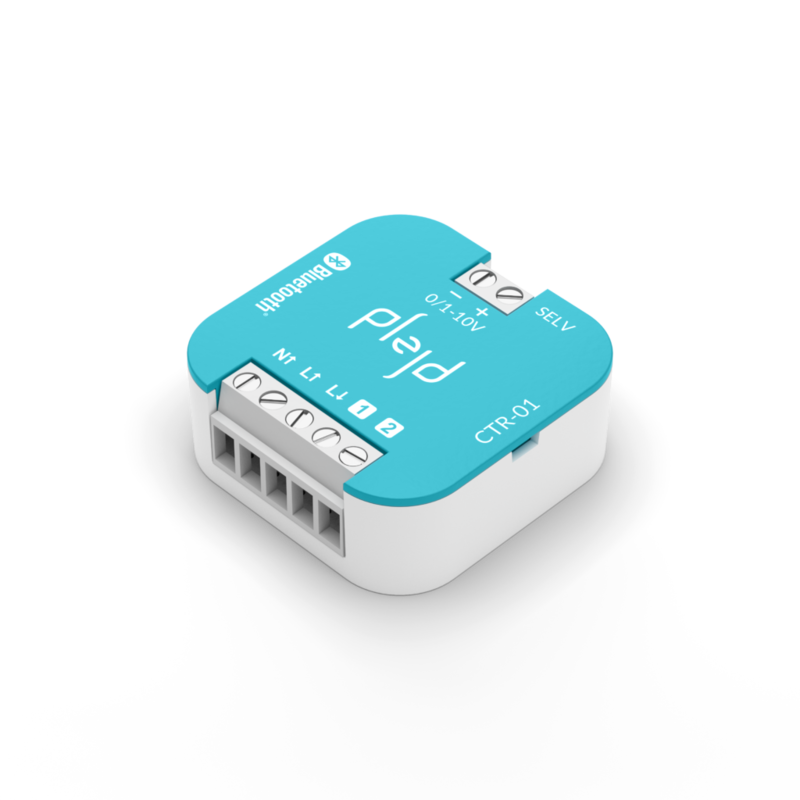 Sync Plejd’s products wirelessly and avoid costly cabling. A universal dimmer with multiple inputs for control using switch as well as motion detectors. Includes all of the benefits of our wireless lighting system and communicates through Bluetooth® to other Plejd products as well as your smartphone or tablet. All configuration is comfortably done through the Plejd app. 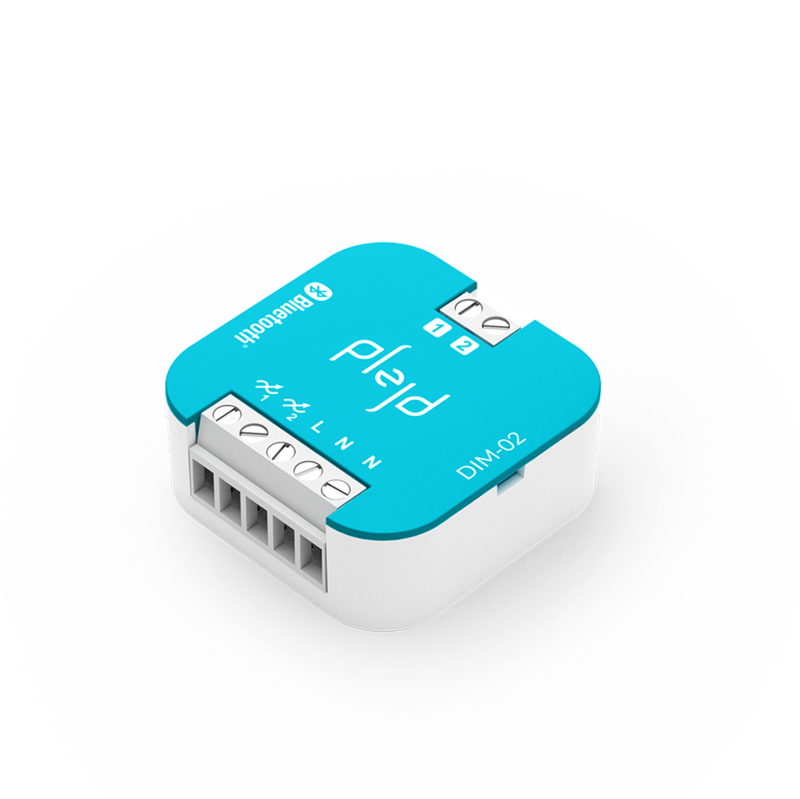 Plejd 2 Channel Dimmer is a universal dimmer with two outputs for control using switch or motion detector. The two outputs can be used stand alone and connect to switches as if it was two separate dimmer products. Multiple inputs for control using switch as well as motion detectors. Includes all of the benefits of our wireless lighting system and communicates through Bluetooth® to other Plejd products as well as your smartphone or tablet. All configuration is comfortably done through the Plejd app. 2 Channel Dimmer can be installed in an appliance box, fixed on a wall or mounted on a DIN rail with the clever Mounting Clip (E 13 777 90). Switch relay/switch actuator for switching loads up to 16 ampere. CTR-01 also has outputs for controlling third-party products with 0-10V or 1-10V such as LED drivers and electronic ballasts. CTR-01 can be installed in any appliance box and is compatible with most switches and wall sockets on the market. CTR-01 can also be fixed on a wall or mounted on a DIN rail with the clever Mounting Clip (E 13 777 90). Switch relay/switch actuator for switching loads up to 16 ampere. CTR- 01 also has outputs for controlling third-party products with 0-10V or 1-10V such as LED drivers and electronic ballasts. Plejd’s Gateway enables control of the Plejd system no matter where the user is located, assuming access to Internet connection. Gateway is a bridge between Plejd mesh and Internet. Protects time functions if power goes out. 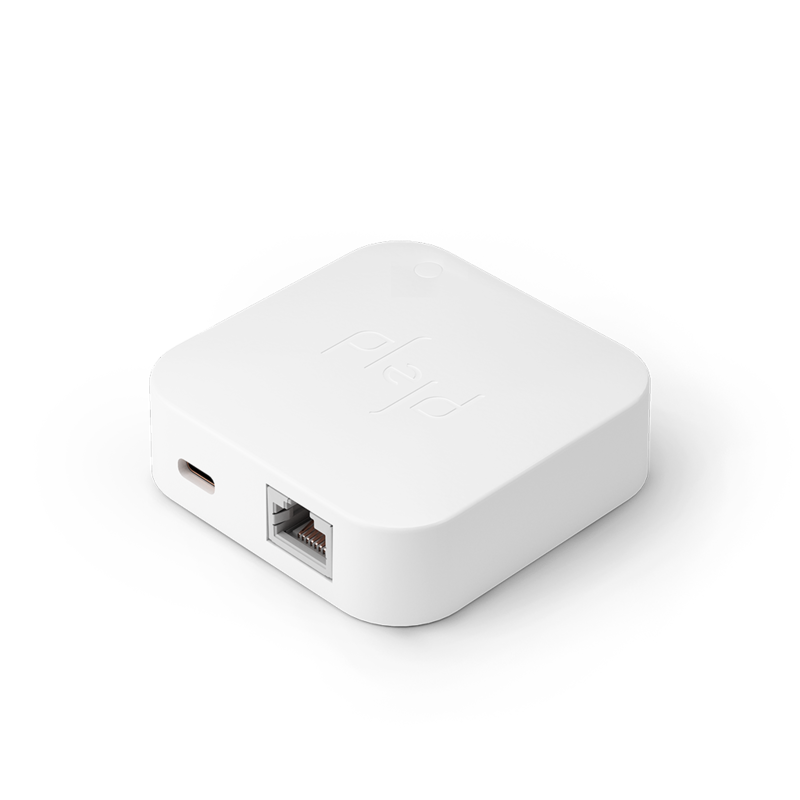 Connect with power adapter to wall socket and with Ethernet LAN-port to the local network. Easily installed in the app Plejd and becomes a part of the Plejd mesh.